Beerpulse is one of the world's most trusted sources of beer information, 8 years running. It's mission is to disseminate beer news as fast as it becomes available. Delivering daily news updates on breweries like Sierra Nevada Brewing, Stone Brewing, Dogfish Head, Russian River and more. Join Après Yoga teacher Elyse Rousseau for the inaugural edition of Breathe, Bend & Brew at Ratio Beerworks. We will practice inside the brewery and then enjoy a pint of Ratio’s finest beer after class, Après Yoga! $15 for yoga and a pint! 303 Magazine and Ratio Beerworks are teaming up for a special vinyl and brunch pop-up. This FREE-ENTRY event will be your first chance to preview the brand new 303 Music Vol. 1 vinyl album featuring your favorite Denver local bands. Come out and enjoy free brunch samples from The Preservery, Fish N Beer, Shake Shack, Hotbox Roasters, Novo Coffee and more, while exploring a pop-up record shop from Vinyl Me, Please and listening to tunes from MILE HIGH SOUL CLUB. As always, Ratio beers will flow all morning, including the newly released Heart Tattoo Blackberry Belgian Wit. Alan Isakov, Esmé Patterson	and more. Proceeds from the record will benefit local non-profit Youth on	Record. Come out to Ratio Beerworks at 2920 Larimer Street from 11 a.m. to 2 p.m. to join for this free	event. Ratio Beerworks is thrilled to welcome Red City Radio back to the taproom for a special meet & greet with the band. Come out and join for a special pre-party prior to Red City Radio’s appearance at The Oriental Theater with Lawrence Arms. In honor of their visit, we’ve collaborated on a pilot batch of If You Want Blood Orange IPA, as well as a commemorative glass to give away with the beer. The band’s schedule tentatively has them arriving at the brewery at around 2pm. The international favorite podcast Joke and Destroy is coming to Ratio Beerworks to bring the jokes and the destroying. Hosts Jeremy Pysher and Andres Becceril will bring you a taste of their dope show, before bringing you a lineup of kickass comedian destroyers, who have all already appeared on the podcast. Free to attend. Show starts at 8pm. Help donate $10,000 in less than 60 minutes at our Spring Meetup hosted at Ratio Beerworks. Each nonprofit will present their pitch, and each member (that’s YOU) will vote for one charity to award $10,000 (or more if we grow to 100+). A receipt of your donation will be provided by the winning organization. Bring a friend (+invite them to this event! ), have a Ratio Beerworks craft brew and see how far your collective $10,000 can impact your community at large. Learn more about Mile High 100 at milehigh100.org. The Budlong Hot Chicken Truck is bringing Nashville Hot Chicken to Denver. 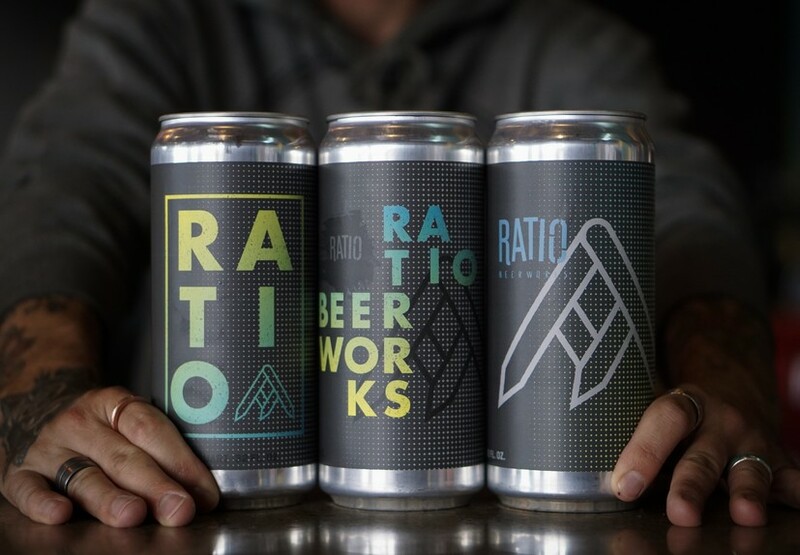 The first chance to try this enjoyably spicy, deliciously crisp, fried chicken will be at Ratio Beerworks on Friday, May 11 starting at 4:30. Enjoy a tasty piece of fried chicken, slathered with Nashville Hot Sauce, on Texas Toast, with Mississippi Comeback sauce, coleslaw, and housemade pickles. Our sides are made from scratch daily and include Budlong biscuits, collard greens, mac n cheese, & red potato salad. The Ratio Quiz Show is a bigger, badder, more inappropriate version of trivia (come sign up your team of up to 5 people) This month, test your knowledge on 90’s jams covering hip hop to pop. From Naughty By Nature to the Spice Girls, we are going to quiz you the hardest you’ve ever been quizzed before. And as with last month’s Marvel Cinemas theme, we’ll be tossing some video clips from 90’s jams on the projector throughout the night and blasting those rad tunes in the taproom throughout the night. Come sign up around 8, show kicks off at 8:30. HELL YEAH! Three years ago Ratio Comedy embarked on a mission to bring a once-a-month night of laughs to the masses. It’s since grown into one of the best FREE weekly standup showcases in the city, featuring nationally renowned comedians and some of Denver’s fastest rising talents. Come out and celebrate the three year anniversary of Ratio Comedy featuring the return of one of our favorites in Dante Powell. Formerly from Louisiana, currently living in Des Moines…Dante Powell is a very sweet and funny man. He has performed at festivals and shows across the US and went viral by being handsome and holding a box of Cheerios. He will literally change your life and make you believe in everything that is dope and cool. The Doom Room is back at Ratio Beerworks for another night of free comedy, where comedians perform with the ominous SCREEN OF DOOM waiting to throw a wrench into their sets. Always fun, always wild, hell yeah. Hosted by RiNo’s brownest and baddest: Andrew Bueno. Sexpot Comedy’s Lucha Libre & Laughs returns to Ratio Beerworks for a FREE SHOW on Thursday, May 24. Lucha Libre & Laughs brings Mexican Lucha Libre, Pro-wrestling and stand up comedy together for one great show in Denver, Colorado! This installment features LLL superstars… more! Meet Loveless, our Dark Sour Saison, barrel-fermented with Saison yeast and our house sour culture for 12 months, then re-fermented in red wine barrels with fresh blackberries and raspberries for another three months. Originally brewed to celebrate Ratio’s 2nd Anniversary, Loveless has returned for another year, this time with an added touch of blackberries. 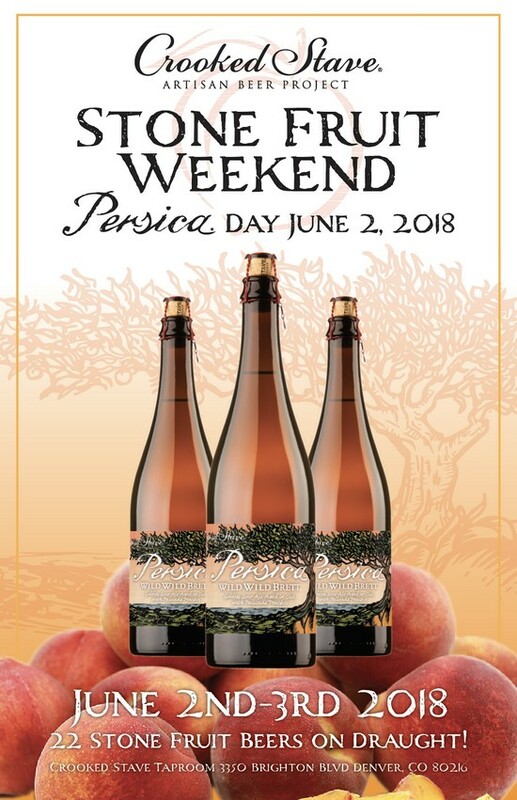 Bottles of Loveless will be released on Friday, May 25 at 5pm in the 750ML champagne bottle format and Loveless will be available on draft in the taproom for a limited time as well. And as always, we’ll have a mobile record store on site to help you re-stock your collection. Ratio Comedy has a banger of a show for you with some of the best and brightest comedians the Mile High City has to offer. (Nashville, TN) – The Brewers Association announced its individual recognition awards this week at the Craft Brewers Conference in Nashville, Tennessee. Below are the winners of the four awards as announced by the BA (original post here). Since 1987, the Brewers Association has recognized individuals who inspire, defend and innovate within the craft brewing industry to an exceptional degree. These individuals, nominated by their peers, are presented with awards during the general session of the Craft Brewers Conference & BrewExpo America. This award is named for the late F.X. Matt, president of the F.X. Matt Brewing Co., Utica, New York, and a tireless and outspoken champion for the small brewing industry. 2018 honoree: Nancy Palmer, Georgia Craft Brewers Guild. This year’s winner is the first woman to win the F.X. Matt Defense of the Industry Award. She coordinated the brewers of Georgia in an effort that came to an agreement with Georgia wholesalers to allow for pint, packaging and food sales at breweries in her state, which has helped grow the craft brewing business in Georgia and removed a major obstacle to entrepreneurs wishing to start breweries. Additionally she is one of the recognized leaders of the state guilds executive director network. Charles Bamforth trained a generation of brewers as an author, mentor, leader, teacher, professor, beer enthusiast. Among the institutions our recipient has worked with or been honored by are the School of Biosciences at University of Nottingham, Heriot-Watt University, the Institute of Brewing and Distilling, the American Society of Brewing Chemists and the University of California at Davis. His books include Standards of Brewing and Scientific Principles of Malting and Brewing. The Russell Schehrer Award for Innovation in Brewing was established in memory of the late Russell Schehrer, a founding partner, and the original brewmaster, of the Wynkoop Brewery in Denver, Colo. Russell was one of the pioneers in the craft brewing industry and as such, was one of the industry’s early innovators. Tomme Arthur began his brewing career in 1996, and quickly developed a reputation for making a variety of excellent ales. He has won the Great American Beer Festival Small Brewery Brewer of the Year on multiple occasions. 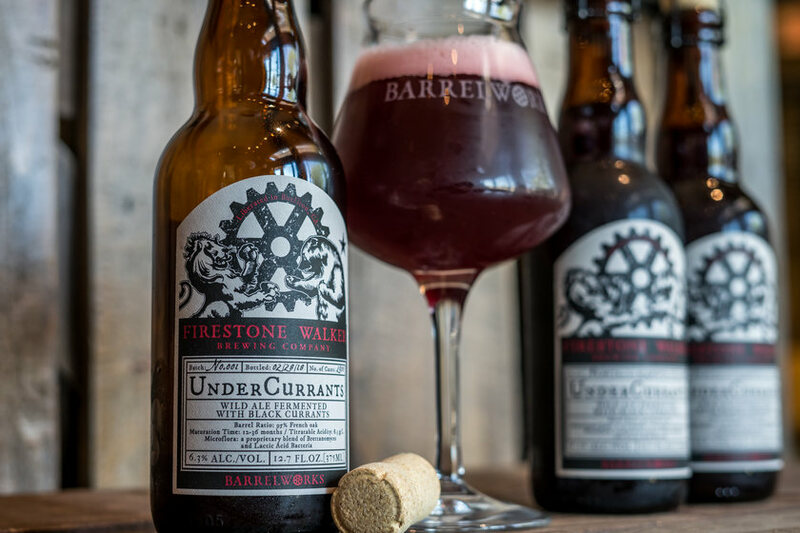 For years our winner has been innovating on the barrel beer front both with wine and bourbon barrels. In fact, he was one of the early adoptors of both in our industry. Aside from the beautiful beers he makes, he has given all the knowledge he had to anyone that would listen on the topic of barrels and aging beer in wood. When you think about Brettanomcyes he was one of the early adapters in the industry. His collaboration with Peter Bouckaert in 2004, Mo Betta Bretta, a 100 percent Brett beer, was the first of its kind in the U.S. 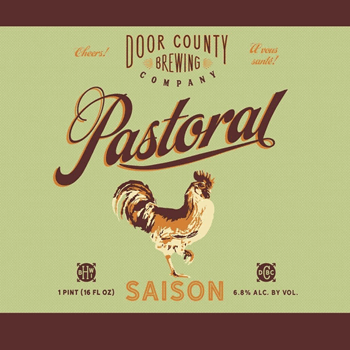 He has matured into a humble brewer showing great creativity and restraint with all the beers he brews. This award recognizes an American beer distributor who goes above and beyond in their efforts to actively market, sell and promote beer from small and independent brewers. 2018 honoree: Tryon Distributing, Charlotte, NC. 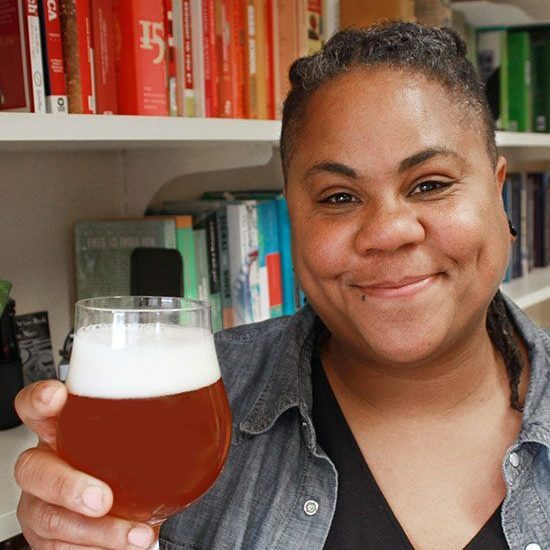 (Boulder, CO) — Furthering its commitment to diversity, the Brewers Association (BA)—the not-for-profit trade association dedicated to small and independent American craft brewers—today announced that it has tapped J. Nikol Jackson-Beckham, Ph.D. as its first-ever Diversity Ambassador. Similar to other ambassador roles at the BA, Jackson-Beckham will travel around the country to state guild and other craft brewing community events to speak on best practices for diversifying both customer bases and staff and to listen to current challenges in this area. She will work closely with the recently established Diversity Committee, helmed by Julie Verratti of Denizens Brewing Co. and comprised of a cross section of industry members of varied backgrounds and geographical regions. The Brewers Association (BA) is the not-for-profit trade association dedicated to small and independent American brewers, their beers and the community of brewing enthusiasts. The BA represents 4,000-plus U.S. breweries. The BA’s independent craft brewer seal is a widely adopted symbol that differentiates beers by small and independent craft brewers. The BA organizes events including the World Beer Cup®, Great American Beer Festival®, Craft Brewers Conference & BrewExpo America®, SAVOR℠: An American Craft Beer & Food Experience, Homebrew Con, National Homebrew Competition and American Craft Beer Week®. The BA publishes The New Brewer® magazine, and Brewers Publications is the leading publisher of brewing literature in the U.S. Beer lovers are invited to learn more about the dynamic world of craft beer at CraftBeer.com and about homebrewing via the BA’s American Homebrewers Association and the free Brew Guru mobile app. Follow us on Facebook, Instagram and Twitter. (St. Louis, MO) — Schlafly Beer announces the upcoming release of the next beer in the brewery’s From the Ibex Cellar series: Sour Blonde Ale (5%). 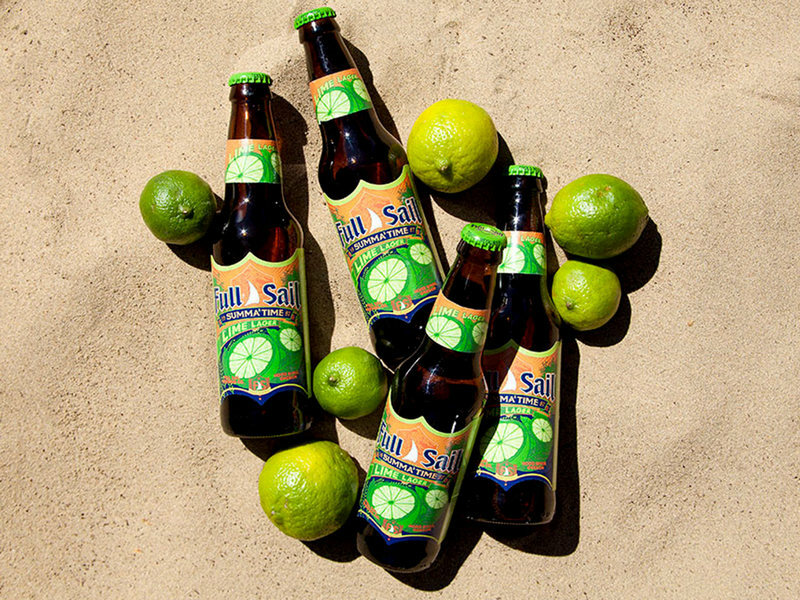 The premium collection features six bold, hand-crafted beers, and the Sour Blonde Ale is a citrus sour through the lens of an American Blonde Ale. The four-pack will be available across Schlafly’s distribution in limited quantities beginning on Monday, May 7. The From the Ibex Cellar series showcases the brewing ingenuity that began in the Schlafly Tap Room’s Ibex Cellar many years ago and continues today. Previous releases this year included: Barrel-Aged Imperial Stout, Imperial Coffee Stout and Local Oak with plans for two more barrel-aged offerings throughout the rest of the year. 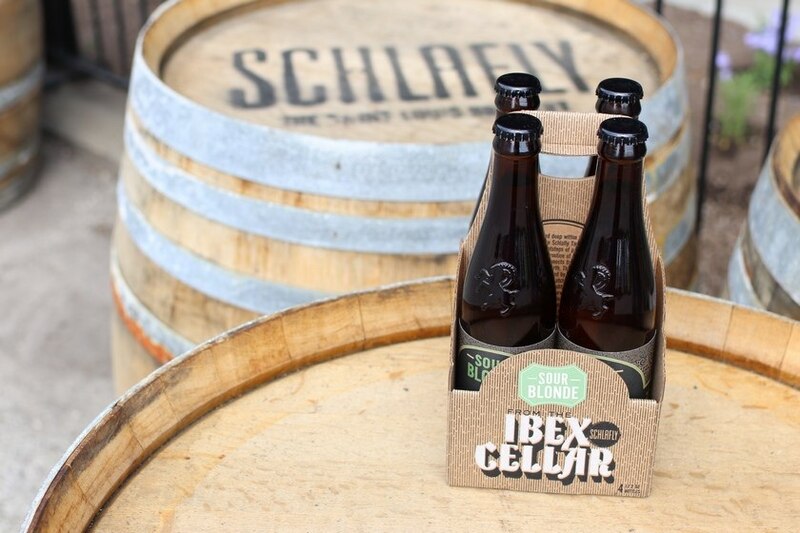 Schlafly’s From The Ibex Cellar: Sour Blonde Ale will be available for a limited release beginning on Monday, May 7 across Schlafly’s distribution footprint for a suggested retail price $17.99. For more on Schlafly Beer’s distribution, visit http://www.schlafly.com/beer-finder/. Schlafly Beer, Missouri’s largest locally-owned, independent craft brewery, proudly offers over 60 unique styles of beer. Each is handmade at the Tap Room in Midtown St. Louis or Schlafly Bottleworks in Maplewood. Utilizing 102 hop varietals, 77 malts and grains, 59 different spices and fruits and 10 separate yeast strains from around the globe, Schlafly also works with local suppliers for everything from farm-fresh food to packaging and labeling. As part of its commitment to sustainability, Schlafly donates spent grain to local farmers to feed their livestock and utilizes 100% renewable energy throughout its operations. The largest Missouri-owned-and-operated beer maker offers free tours of the Tap Room (2100 Locust Street) every Sunday from 12:30 p.m. to 4:30 p.m. on the hour and Schlafly Bottleworks (7260 Southwest Avenue) from noon to 5 p.m. every half hour on Fridays, Saturdays and Sundays. The brand continues to define craft across 12 states and throughout countless fine establishments, backyards and basement bars. Join us at either of our locations and on Facebook, Instagram, and Twitter. For a full listing of seasonal and year-round beers and for information on distribution, visit Schlafly.com. (Washington, DC) — The Alcohol and Tobacco Tax and Trade Bureau (TTB) has accepted a $900,000 offer in compromise from Warsteiner Importers Agency Inc. for alleged violations of the trade practice provisions of the Federal Alcohol Administration (FAA) Act. This is the largest single offer in compromise for trade practice violations accepted by TTB to date. 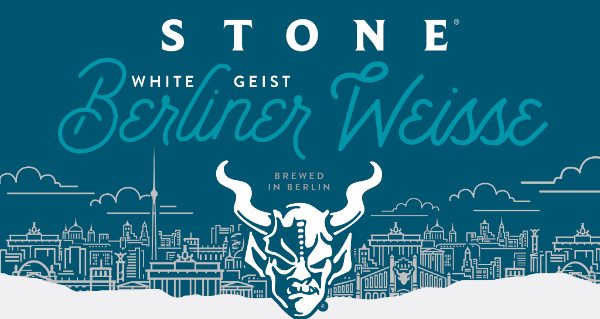 Warsteiner Importers Agency Inc. is alleged to have engaged in Tied House, Commercial Bribery, and Exclusive Outlet violations that either placed, or had the potential to place, the retailer’s independence at risk. This offer in compromise was submitted to settle all possible alleged violations. TTB remains committed to actively enforcing the trade practice provisions of the FAA Act so that consumers can continue to enjoy a wide selection of products and that industry members can compete for those consumers in a fair and open marketplace.